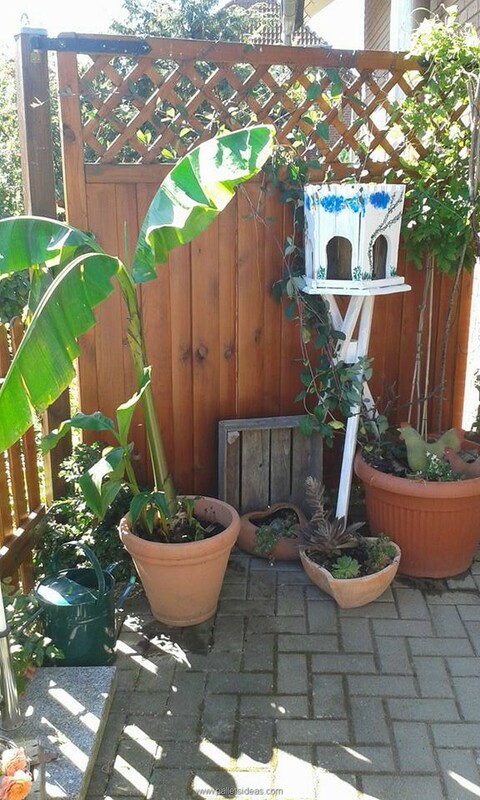 While working on some wood pallet projects for the garden a really smart idea stuck to my mind, and this idea was regarding the creation of a recycled pallet garden birdhouse. Isn’t this a great idea to work on? Yeah I know many of the fellow wood pallet crafters are going to love it straight away. 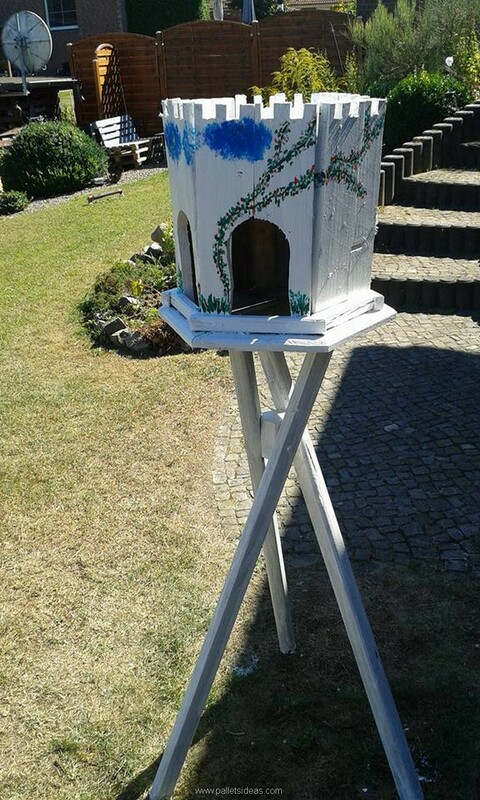 One more thing that I would like to add before we get started with the project is that as this birdhouse was meant to be placed inside then lush green garden, so we thought it must look like a garden décor idea too. Now we are rushing towards the main description of this smart bird house then let me tell you guys that this time it is not going to happen the way it happens usually, I mean this bird house is not designed typically and it would be totally different from the rest. 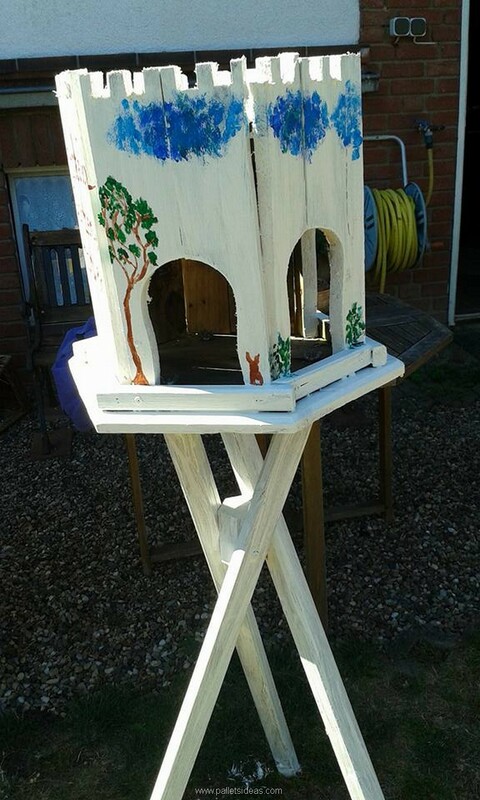 We mentioned that we have had intentions that it must give us dual utility like it should be so much pretty that it must look like a perfect garden décor idea too, so we have mainly focused on the outlook of the birdhouse meanwhile we have also equipped it with all essential portions too. 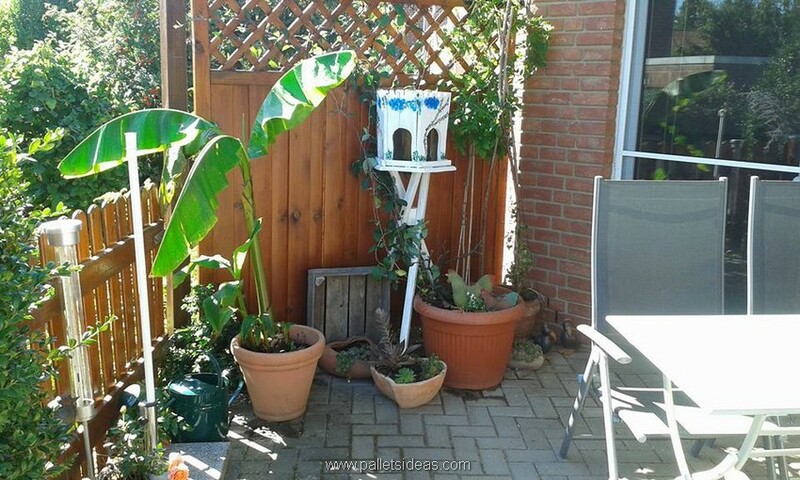 From a distant look it seems like a perfect decoration piece but on getting closer we realize that this is a fully functional and appropriate bird house. We created a proper stand like base for it, then this round cage made of wood pallet was attached to the base. We have used the best available material with us, and a reasonable carved space as the door is spared on two points making them the main passage way for the birds. This would allow the maximum air flow inside the house and meanwhile would give an impact of a sumptuous and stylish bird house too.